Jason was named for inclusion to the New York Super Lawyers Rising Stars list, a Thomson Reuters lawyer rating service for lawyers under 40, annually since 2013. As a corporate attorney at Olshan, Jason D. Cabico focuses his practice on corporate and mergers and acquisitions transactions. 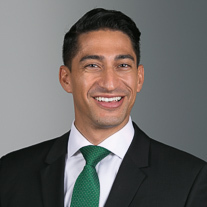 Jason represents both publicly traded and privately held companies across a broad range of industries in connection with acquisition and sale transactions, registered public offerings and private placements of debt and equity securities, financing transactions, SEC compliance, private equity investments, corporate governance and other general corporate matters. Jason received his J.D. from Columbia University School of Law and is admitted to practice in New York. He is proficient in French and Spanish. Prior to joining Olshan, Jason was an associate at BakerHostetler. Represented the target of a cross-border merger of two publicly traded biopharmaceutical companies. Represented a consumer products portfolio company in the sale of a 25% equity interest to one of its major suppliers. Represented a publicly traded multinational software and logistics company in acquiring and merging with a privately held competitor. Represented the largest debt and equity holder of a nuclear energy company in negotiating and securing an investment from a multinational engineering and construction firm headquartered in Irving, Texas. Represented borrowers in syndicated and non-syndicated credit facilities in connection with secured and unsecured credit financings, including amendments, renewals and replacements thereof.